Happy Friday to you! Any big plans for the weekend? I have to say I don’t have too much planned as of right now, but hoping to do something fun! 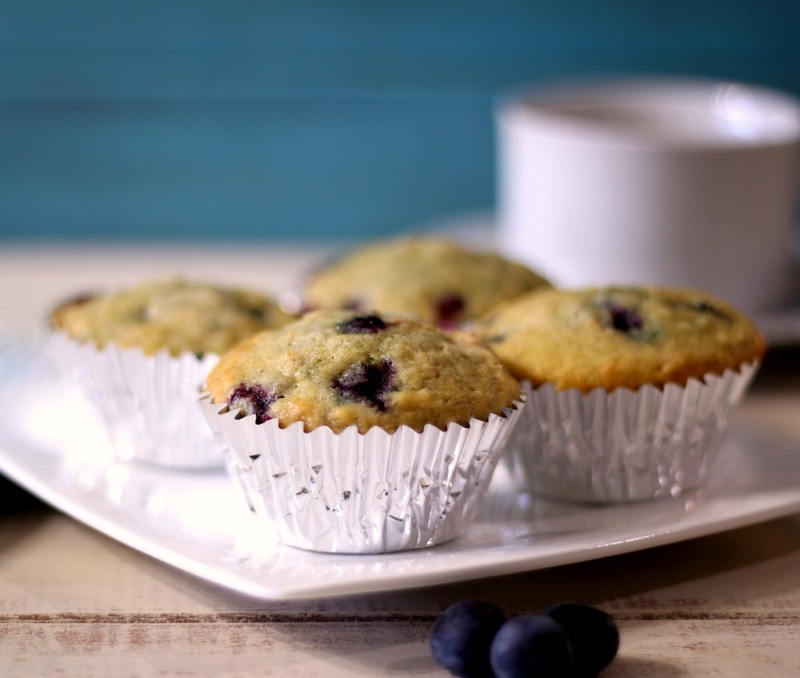 So today I thought I would start your weekend with some Traditional Blueberry Muffins. 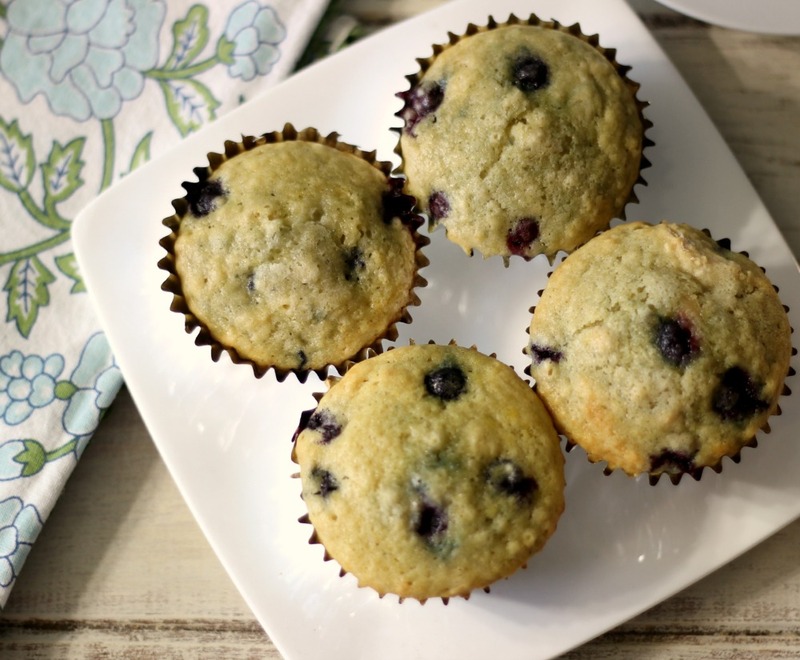 I was going through my recipe box and I noticed blueberry muffins, but not plain, traditional ones, however today’s recipe is not plain at all, but you are getting super moist delicious muffins! 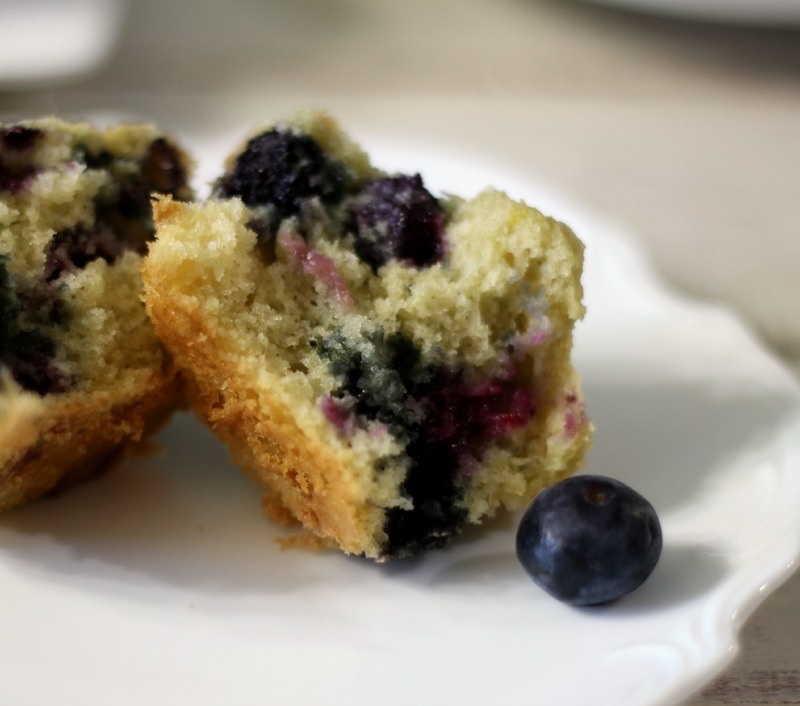 These muffins are light, fluffy a wonderful butter flavor, and chock full of plump blueberries. 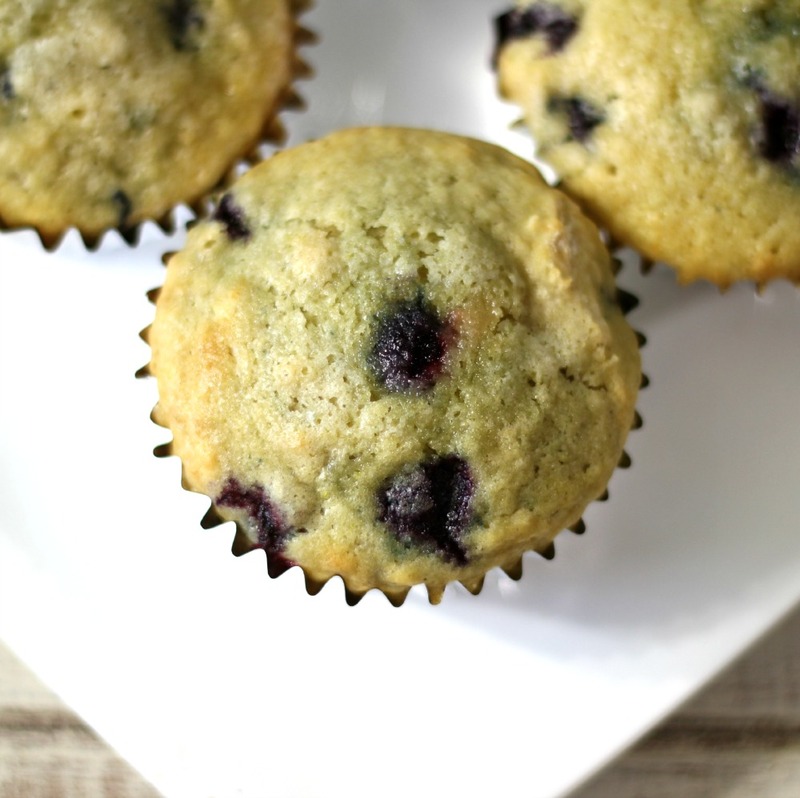 I have to say they are probably one of the best blueberry muffins to date. They remind of the box ones my Mom used to make when I was a kid. Remember the ones that came with the canned blueberries? Yeah! These kind of remind me of them. What makes the muffins so moist is that it is made with a stick of melted butter and a big old cup of non-fat milk. To give them a little bit of extra flavor is that I used a little bit of vanilla extract. I kind of have a thing for vanilla. 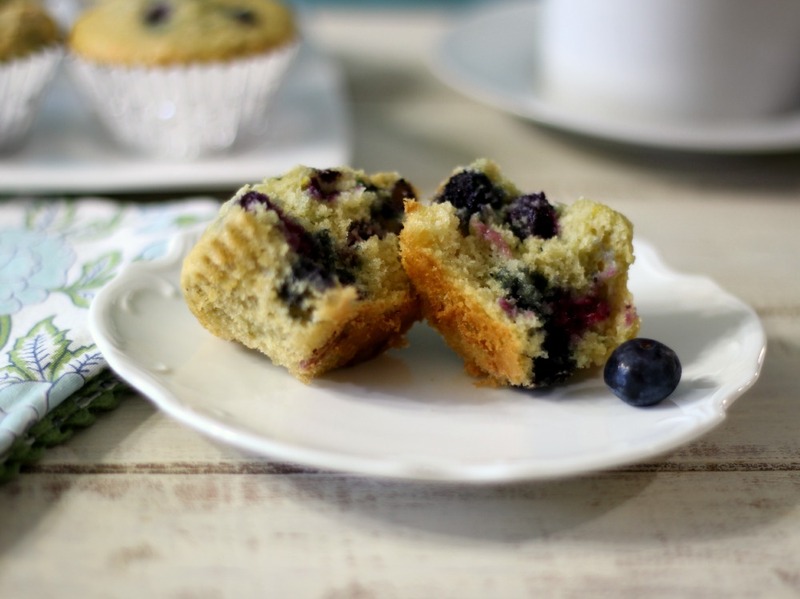 The recipe also makes for 16 standard size muffins, which comes in at only 139 calories. Not to shabby for muffins that contain butter. These muffins would be great for a Sunday brunch, sided with some fresh eggs and bacon or simply to have as mid morning snack with a cup of tea or coffee. Just don’t let the pictures fool you, these muffins are simply amazing and I am pretty proud to share them with you today. In a medium bowl, add flour, baking powder, baking soda, and salt; set a side. In large bowl add sugar, butter, eggs and vanilla; mix until combined. Pour in the milk; mix until combined. Slowly incorporate flour mixture just until moist. With a spatula, fold in blueberries. Evenly spoon batter into prepared muffin pan. Sprinkle with course sugar. Bake in oven for 15 - 20 or until center comes out clean with a toothpick. So next time your up to making some muffins, give this recipe a try. 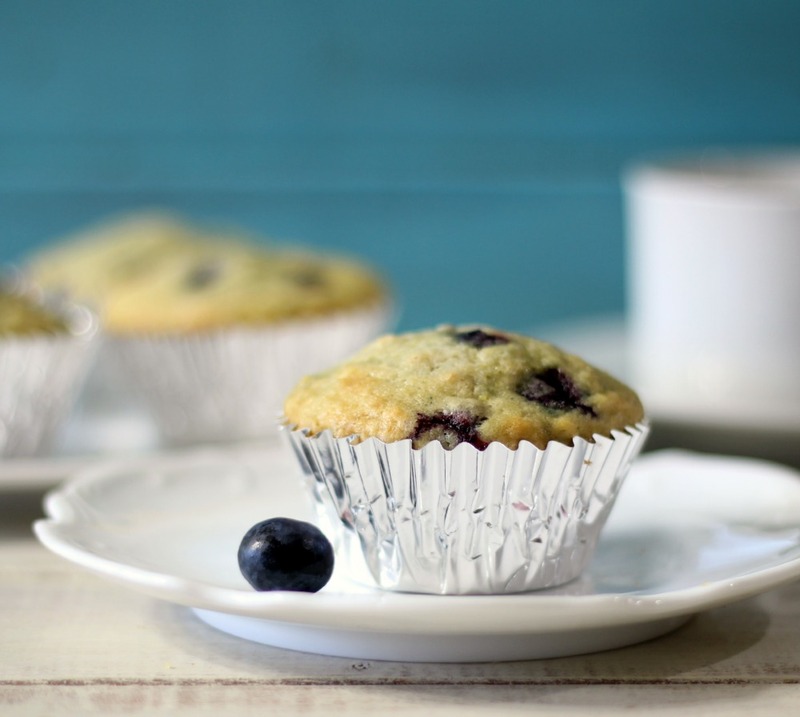 it’s so easy to make and in 30 minutes you will have fresh, warm muffins from the oven. Just think of a dollop of butter on it, oh yah! That’s what I am talking about. These muffins are lovely. I would be so happy to have them each and every morning for breakfast. You are so sweet Jocelyn! Thank you!! These are awesome!! I just made blueberry muffins last week and donated them to a function at our church. I’m soooooo excited it’s finally the weekend!! My sister and I have been planning a surprise 30th wedding anniversary party for my parents since this time last summer. Tomorrow all of our hard work and planning will finally be worth it and I can’t wait to see the looks on our parents’ faces. They think that my sister is just taking them out for their birthdays. But instead, we have a grand total of 50 people ready to yell “surprise’ as they walk through the door. The timing couldn’t have been more perfect since my dad’s best friend (since childhood) will be in town this weekend (he’s coming from South Carolina) and my mom’s maid of honor is suppose to be there along with a few friends from her college days. So it’ll be tons of fun and very elegant! What a fun weekend and a fantastic surprise for your parents. They are going to just love it! Have fun and enjoy yourself! What about the baking powder? It is mentioned in the ingredient list, but not in the directions. Thanks!